Print on demand, as the word explains, these are sites where printing is done in small quantities based on the order. Unlike publishing houses and garment companies which print books or apparels in bulk; print on demand sites & services are more customer need based. 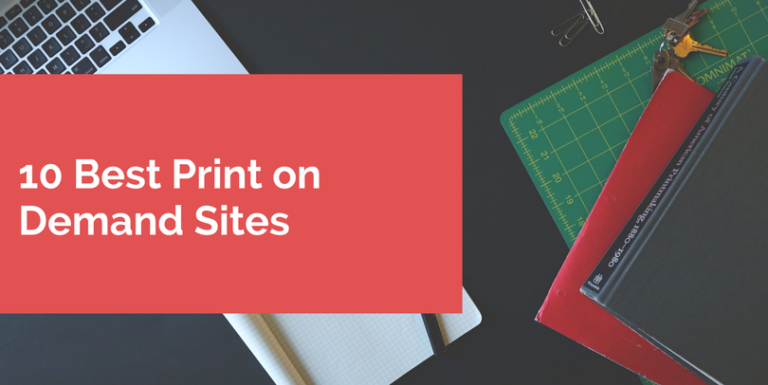 You can print books, clothes, mugs, mobile cases, home décor et all in these sites. So, what makes these sites & services different? Over the years the print on demand is becoming a revolution and a number of people get benefitted from them. For Artists: You can upload your designs on these sites. Artists get paid out for whichever art has been used (refer individual sites for payment process). So, for an artist it is a bigger platform to get your art noticed by people across the globe. For a Consumer: You get products that are custom made and unique. There are many out there who do not want to support big brands and want something “different”. These sites & services are the answer to such consumers. 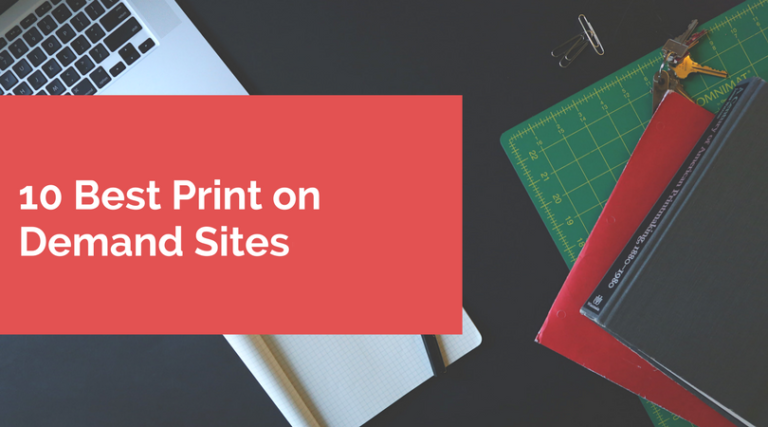 Let’s look at the sites that are the best Print on Demand sites & services. is an old player of the game. It is also my favourite print on demand service. They have been in business since 2013 and have a slightly different model compared to other portals. The site works better for entrepreneurs. 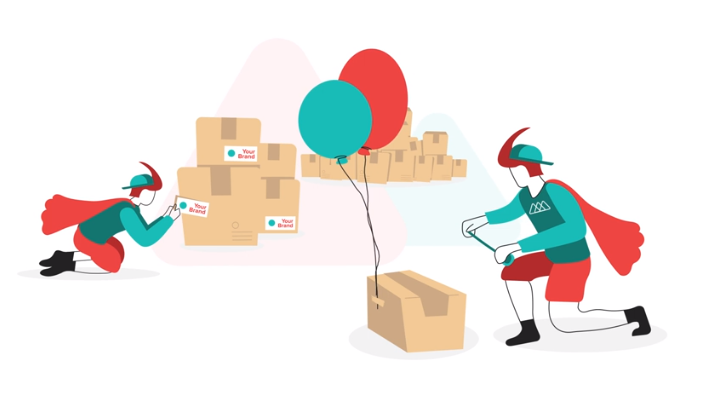 Printful who print and deliver the product to the consumer. What can I print at Printful: clothes for all ages, wall art, accessories like tote bags, phone cases, décor items like pillow covers, towels. High quality products and drop shipping. Connect your online store to Printful and it fills it up with products covered in your own custom designs. Orders are sent automatically to Printful through Printful factory, where they’re printed, packed and shipped. A notification is sent to you with the tracking number once orders are shipped. Clients receive their orders in packages covered with your brand, appearing as if you shipped it out yourself. 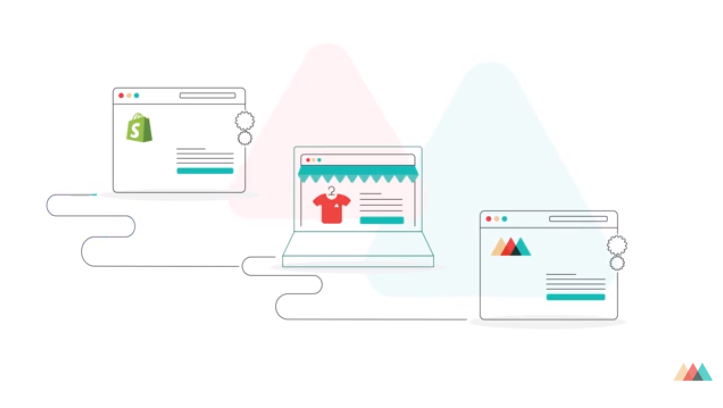 Printful integrates with more than 14 platforms including but not limited to: Shopify, Etsy, WooCommerce, Amazon, eBay, and BigCommerce. This is available for when you’re on the go, so you can stay informed and manage your store. 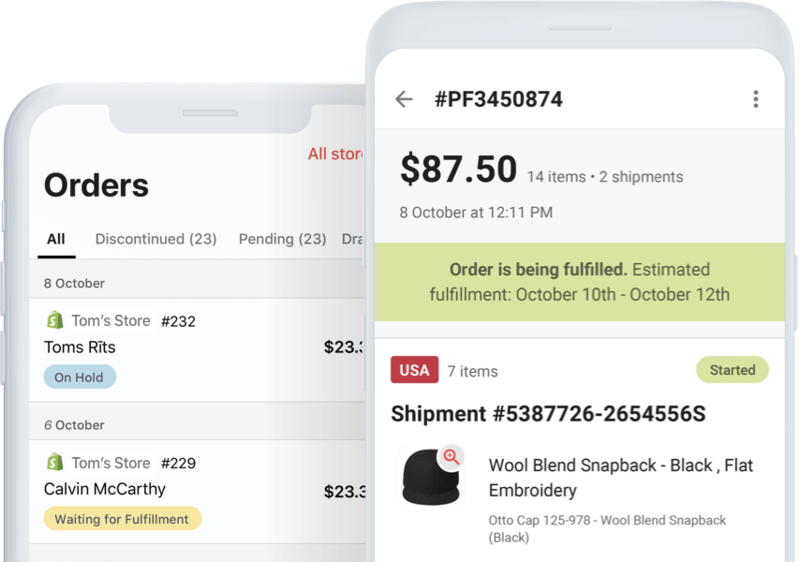 With the app, you can receive notifications, email or call Printful support, hold orders when necessary, track your orders, and report any problems with a simple snap or use existing photos. The app is available for iOS and Android platforms. Zazzle USP is its customization capacity which is incredible and unique. 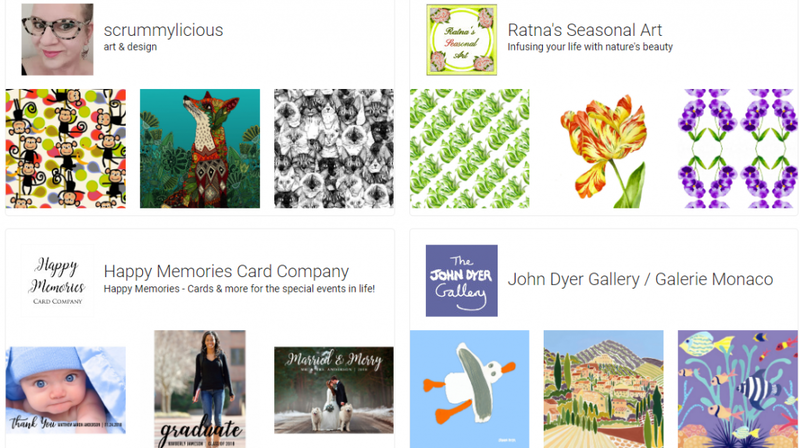 At Zazzle you can create 1300+ items and then further customize them to make them. One can choose art of an artist or design something themselves. The website is very popular and has close to 30 million visitors each month. What can I print at Zazzle: t-shirts, buttons, tote bags, invitations, mugs, stickers, business cards, kid’s clothes, kid’s pacifiers and more. There are three account options: Designer, Maker, or Affiliate. Each comes with its own tools, which is why you need to know which account you want. 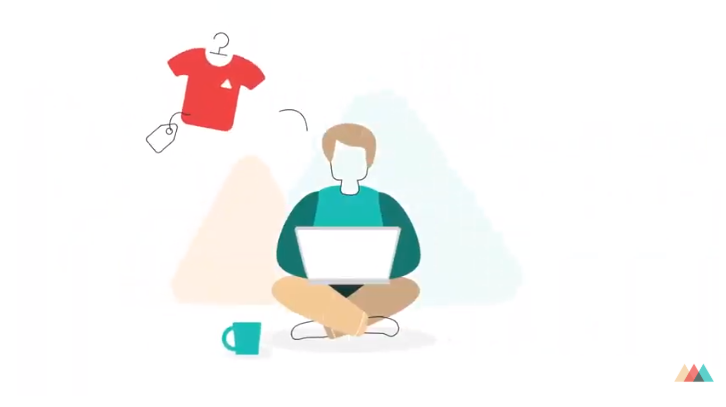 Designers upload your designs on the platform, select the products on which you’d like your designs printed, and post them for sale. 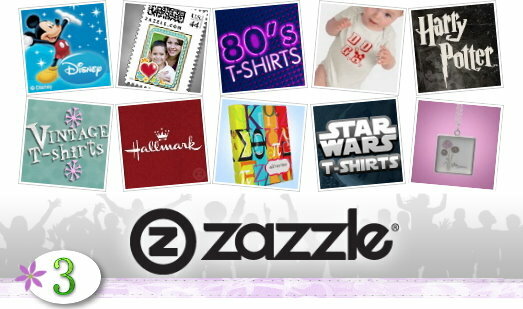 Zazzle handles manufacture, printing, and shipping. Makers can manufacture their own products and put them on Zazzle for sale. The only difference is you handle manufacturing and shipping. Affiliate accounts earn commissions on every product sold, whether or not it is your product. You can sell whatever is on the platform and earn from it. Free sign up: Zazzle is free to join and set up your store to sell a wide variety of products. Variety of design options: Upload your designs and sell products using Zazzle-provided options, or using designs uploaded by other members on your products. 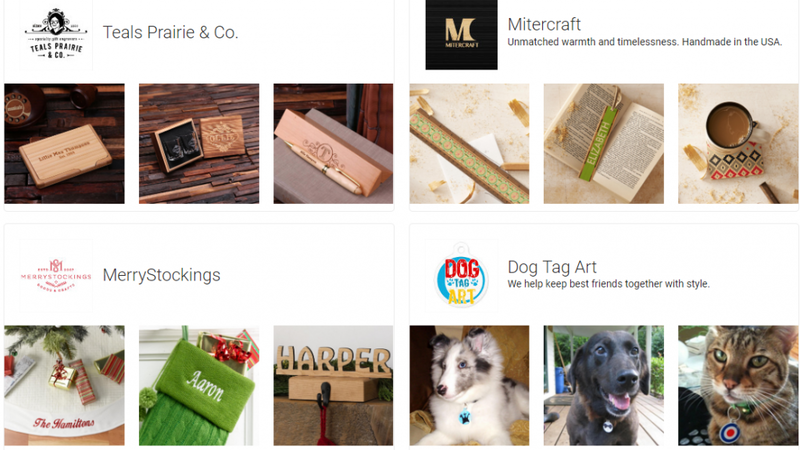 Zazzle Marketplace: This is a platform on which you can make your own designs available for others to sell. 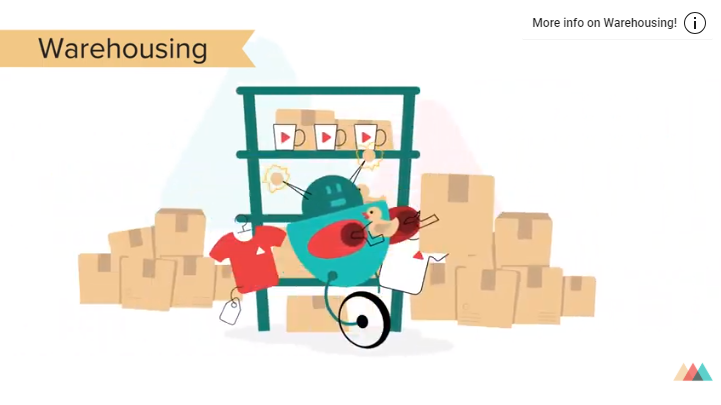 You set your pricing on your items, and earn huge discounts (volume) based on monthly sales. Customization options: Zazzle members enjoy store customization options over and above other Zazzle benefits. Name Your Royalty: This is a Zazzle program that lets you set your own profits. Customer support: A dedicated support team is always on hand to help with your questions via email, online chat, or call. 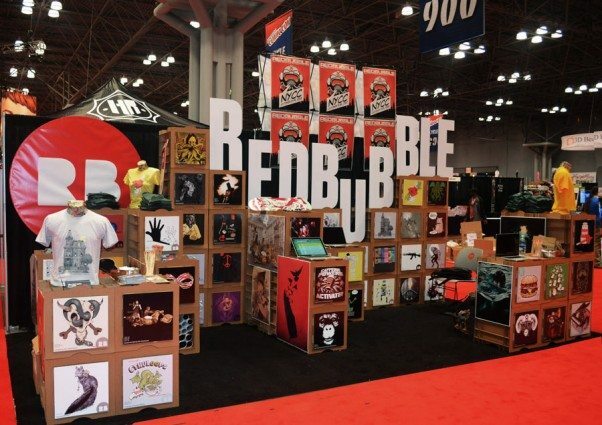 Redbubble is an online marketplace for a number of products. The artwork is submitted by a diverse community and they remain a big player in the game. It is a loved site and has a big consumer base. What can I print at Redbubble: A wide variety of merchandise like t-shirts, skirts, notebooks, duvet covers, postcards, hoodies, scarves, stickers and more. The first step is to sign up for a free account with Redbubble. You’ll receive email updates on features and promotions, and best of all, there’s no formal vetting process. As long as you’re above 16, and have combed over the User Agreement responsibly, you’re good to go. Find a design you love on a product you want. Get paid. Once you choose a payment option that is available in your country and works for you, pick a currency and tax options, and then hit Save changes. You can set profit margins for each product, and Redbubble only charges base prices, so anything above that is yours. 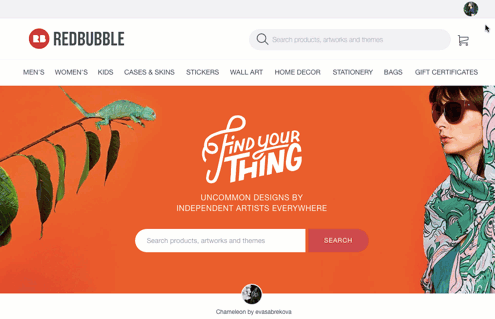 Simple and straightforward: Redbubble’s user experience can be used even for newbies.The platform is easy to navigate, though uploading designs and deselecting items may take some getting used to.It also offers self-explanatory features and buttons. Variety of products: Redbubble ensures high standards of quality are met for the products offered. There’s a wide variety to choose from with multiple variants including men/women/kids and baby items, stickers, home décor, wall art, device cases, bags, gifts, stationery and more. Shipping: Redbubble doesn’t ship for free, but their service is high quality.The costs also vary based on type of shipping and location. Customer support: a highly responsive and dedicated support team is available with a 4-hour response time.Live chat, email, Twitter, and other options to contact support are offered. Knowledgebase: A help center is available for sellers and buyers to get answers to their questions. Payment options: these are done via direct bank deposit (select countries) or PayPal within each payment cycle from 15th of a month to 15th of the next month. This is one site that doesn’t print apparel. This is a platform that is heavy on art. One can see many paintings and images of paintings but few digital art images found commonly in other sites. So, true lovers of art this is the place for you. 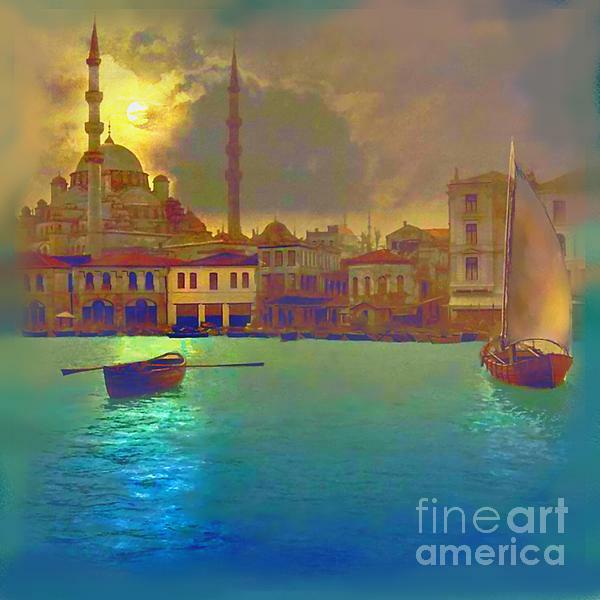 What can I print at Fine Art America: wall art, home décor like cushions, shower curtains, bath towels, Tech products like chargers and phone cases and select beach gear. On the flip side, though artists can set their sale price they do not get to know the final price of the product. So, the profit margin that Fine Arts America makes remains unknown to them. Like Zazzle one can either choose an existing design on the portal or create one of your own. Teespring however has a minimum quantity requirement for printing. Also, here an artist needs to meet the minimum sale requirement and promote their product to get paid. What can I print at Teespring: T-shirts and other apparel, home décor, mugs and gift items. Society6 has no geographical borders. Artists across the globe can upload and sell their art. The niche area for Society6 is Art prints. This makes them unique. Apart from this they also have other products to choose from. What can I print at Society6: Apart from products like apparel, gifts, furnishings one can also order art prints, framed art prints and stretched canvases. Sometimes difficult to put up art because each item has a different size specification. They are famous for their shirts and t-shirts. There are a number of categories one can choose from. 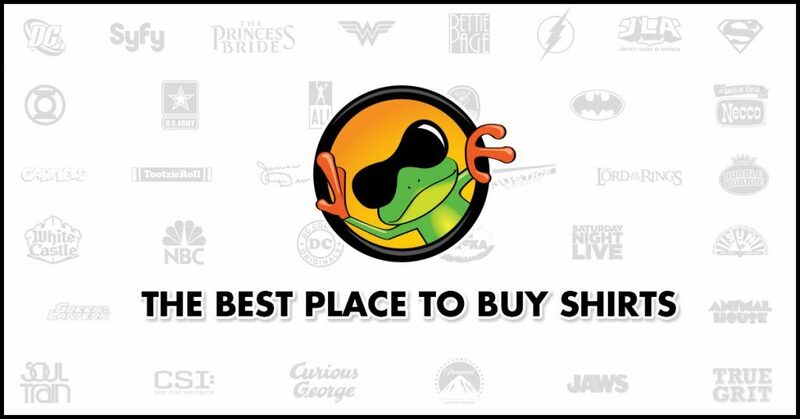 Given the wide choice, Sunfrog has good customer traffic. Their products are printed in the USA but shipped worldwide. What can I print at Sunfrog: As mentioned earlier t-shirts, shirts, hoodies apparels of all sizes for various moods and occasions. 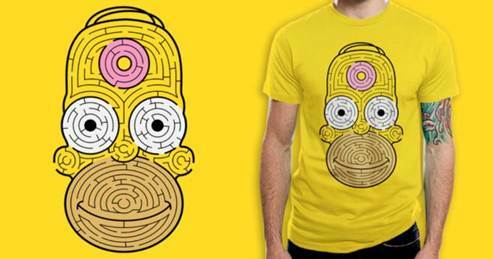 This portal is all about high quality t-shirts, hoodies and posters. They have kept it simple and stuck to a limited choice in products. The site has a unique marketing strategy. Certain designs are made available for a limited time period for as low as 11USD. This helps them get good customer traffic. 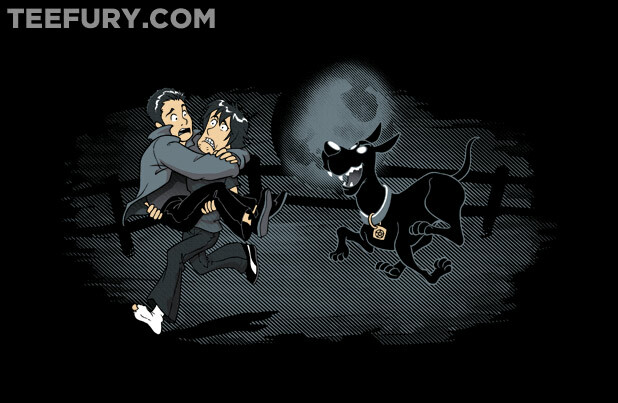 What can I print at Teefury: T-shirts, hoodies and posters. This site has a unique way of working. An artist can submit their design but the design is available for sale only if it is voted by the threadless community. So, there is a stringent selection process before the design is made available to the consumer. What can I print at Threadless: Apparel for all ages, home décor and accessories like phone cases, hats, notebooks, beach towels and much more. 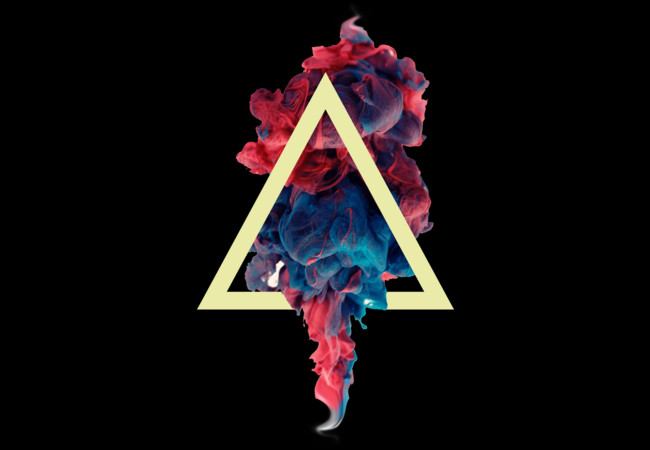 This is a community of artists, gamers, designers and youtubers. This portal is home to some of the greatest pieces of art on the internet. Shirt competitions which are mostly themed take place almost every day. The winning designs are sold at discounted rates. An artist’s commission increases with the sales that happen. What can I print at Design by Humans: Apparel for all ages, accessories like mugs, buttons, hats and Art by itself in prints of various sizes. A supportive community with one common goal that is to empower artists worldwide. As mentioned above most sites do not charge an artist for uploading their art. Payment methods for artists vary from site to site. While most of them patout using Paypal, their criteria for sales and payments differ. So, please check with individual sites. The print on demand services listed above are good for both artists and a shopper. We have listed them based on reviews from both artists and consumers. Of course, individual experience does vary. They may not be cheap, but overall these are trusted sites.